Finally I left Warsaw - and now I got to my parental home until we're leaving to Austria for vacations. The weather is so great. 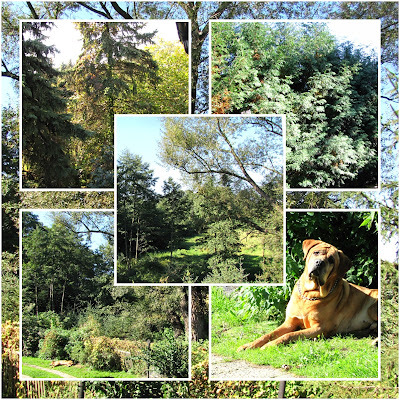 I made a small collage of some pictures I took today in our garden. You can as well see our dog - he's enjoying the sun.